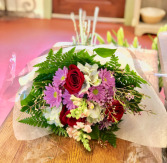 A sweet wrapped bouquet perfect for any occasion. A mixture of sunflowers, succulents, and seasonal mums in a wood container. 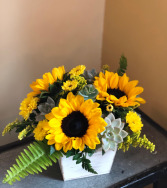 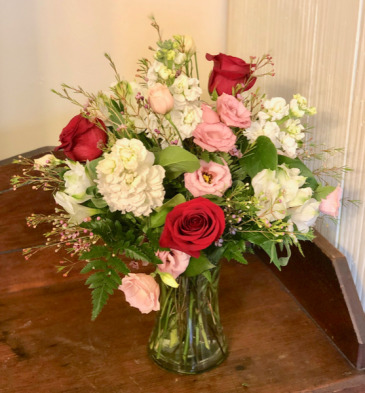 This arrangement can be created in many different color patterns, let us know your preference will create a special arrangement just for you.